Ten years or so ago, Bordeaux really wouldn’t have been on my list of cities to visit for a weekend break. Okay, it’s always had its wine, its history and neo-classical architecture but, it was very much shabby around the edges with not a lot going on inside; a city well past its prime and one to avoid in favour of its surrounding wine regions. However, since the new millennium all that has changed and a recent visit by the Hubby and me has well and truly put Bordeaux high up there on my list of weekend break locations - or even longer if you visit the surrounding areas - but what’s changed? When Bordeaux’s former mayordecided to spruce up the place, it was the start of something big. This once down at heal city was brought back to life with a vengeance: the 18th century facades, hidden under years of thick grime, were restored to their tawny splendour; large areas of the river bank (Bordeaux is set on the River Garonne) were saved from dereliction; and a high tech tram system was installed connecting its newly revived neighbourhoods. A job well done and now the entire old town (Vieux Bordeaux) is a UNESCO World Heritage Site. Bordeaux is compact and mainly pedestrianised so the best way to take in its beauty is by strolling it’s graceful streets, all of which appear to lead to yet another square edged by cafés and filled to the brim with locals, at any time of day. There’s a youthful vibrancy which you often see in a city that’s had a renaissance but it’s also brought by the high-spirited student population. On our recent trip, the Hubby and I eschewed the centre and instead stayed a 10 minute walk away in the Chartrons district. Once a down and out area best avoided, it’s now a rather trendy little place with artist’s studios, independent boutiques, vintage shops and some cool restaurants. It’s also home to the Musée d’Art Contemporain which occupies a converted 19th century warehouse and provides an ideal setting for post-1960s sculpture and art installations. Bordeaux’s other museums are scattered in the streets around the cathedral. If shopping is an important item to tick off your list on a weekend break then you won’t be disappointed by what Bordeaux has to offer. You’ll find the smartest shops - and equally smartly dressed locals - in the triangle of rues radiating from les grandes hommes. Then there’s cours de l’intendance, with some very fine food shops, and rue St Catherine which is one of the longest shopping streets in Europe. The narrow streets around Place du Parlement are lined with old townhouses doubling up as boutiques, vintage shops and bistros. Whilst if antiques and bric-a-brac are your thing, then you’ll find rue Notre Dame and absolute treasure trove. If you fancy seeing what’s going on in the surrounding area then you can hire a car or get on the train. 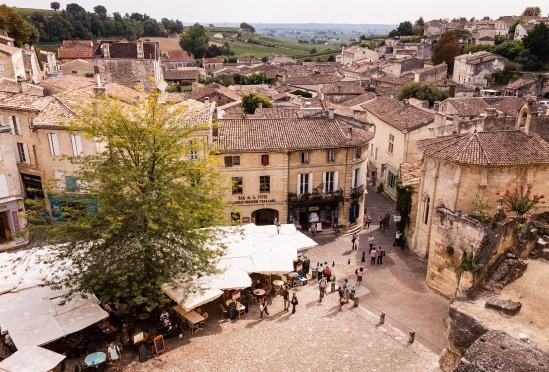 A place definitely not to be missed is the outrageously beautiful fortified village of St Emillion (easily accessible from Bordeaux in about 45 minutes). Here the vineyards are as well manicured as the medieval cobble stoned lanes (be warned they are very steep) that are filled with craft shops, gourmet restaurants, low key cafés, bakeries (as well as wine St Emillion is serious about its macaroons) and of course wine shops. The old church appears to be hewn into the cliff and the well-kept ramparts afford stunning views of the surrounding area - be warned though, such beauty comes with its high level of tourists. Another place easily reached for a day trip is the seaside - the Dune de Pyla on the Bassin d'Arcachon is the largest sand dune in Europe and can be scaled if you feel the need. If you fancy some seaside sophistication then I'd highly recommend a trip to Cap Ferret. Not to be confused with the similarly named Cap Ferrat in the South of France, here you'll find an exclusive low key little place without the obvious bling of the Côte d'Azur. 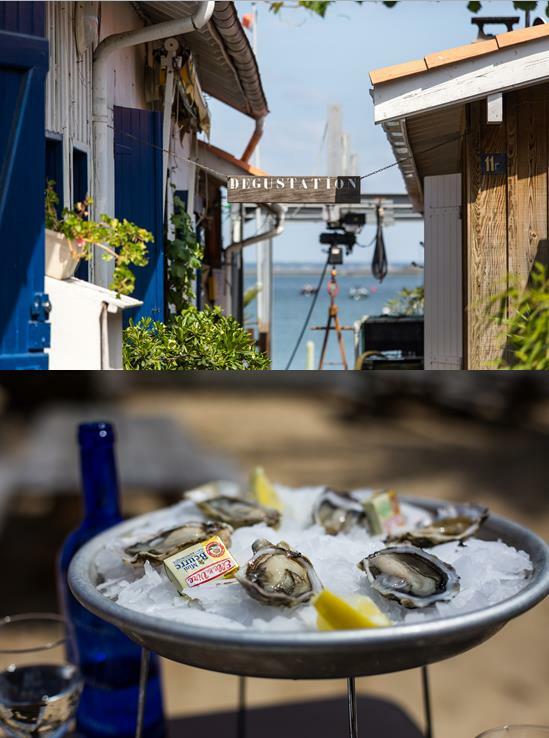 The cape is exposed on the western side by the turbulent Atlantic and on the eastern side by the calm shallow waters of the Bassin and so life is all about the sea: sailing, fishing, swimming and oysters - the cape supplies the whole of France with these little delicacies. You can also hire bikes to explore the miles of great cycle tracks through the forests and on to nearby picture postcard villages with their brightly coloured fisherman's houses and more chance to sample the local oysters. I read somewhere that Bordeaux is now France’s second most beautiful city and I certainly wouldn’t argue with that - it’s a laid back place where you can eat well and drink better. Add to that some excellent shopping and a lively nightlife and it all combines to make Bordeaux an absorbing place to spend a long weekend. Or as a nice mix, do as the Hubby and I did, and combine it with a few days by the seaside in the rather refined Cap Ferret where you have the chance to live the French life. For more information on our trip or about the area, please feel free to contact me.